Pat Breen T.D. 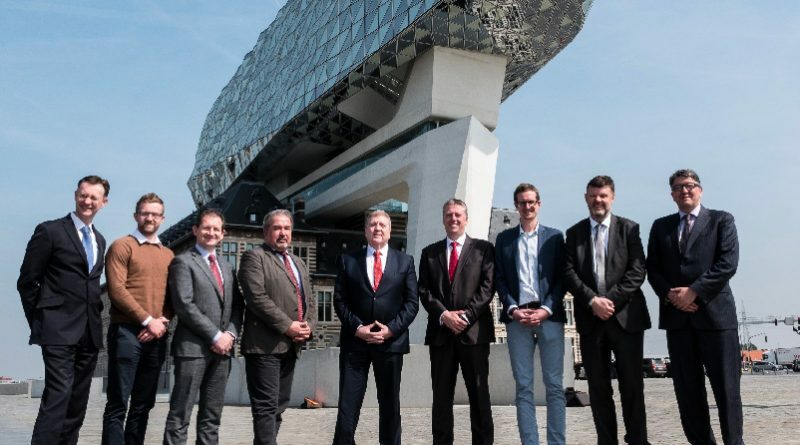 Minister for Employment and Small Business led an Enterprise Ireland trade visit to Antwerp in Belgium. The aim of the trade visit was to promote Ireland’s extensive experience and capability within the high-tech construction and engineering sectors. The programme provided four key networking opportunities for the 25 participating Irish companies to make new high-level business contacts in the Belgian pharmaceutical, engineering and construction sectors. During the visit Minister Breen addressed a ‘prepare for Brexit’ seminar, and an Enterprise Ireland seminar designed to develop partnerships between Irish and Belgian companies who supply or manufacture products within the European pharmaceutical industry. He also met Enterprise Ireland clients during a lunch-time forum on the topic ‘Building scale in a changing economic climate’. The main trade dinner was attended by 80 participants from representatives of the Irish and Belgian business communities and the International Society of Pharmaceutical Engineering. Pictured above at the Port of Antwerp are L-R: Leo McAdams, Director of International Sales & Partnering, Enterprise Ireland; David O’Sullivan, Chemstore (Limerick); David Phelan, Suir Engineering (Waterford); Wim Dillen, Head of Business Development, Port of Antwerp; Pat Breen TD, Minister for Employment and Small Business; Paul O’Riordan, Radley Engineering (Waterford); Yves Adriaensens, Port of Antwerp; H.E. Eamonn MacAodha, Irish Ambassador to Belgium, and Patrick Torrekens, Manager Benelux, Enterprise Ireland.